After a revelation into the Beaches Link Tunnel’s cost of construction, it can be revealed to cost $14 Billion for the 14km stretch which turns out to be $1 Million per metre or $10,000 per centimetre. This is an absolutely mind numbing figure, for each centimetre of a tunnel to cost $10,000 seems absolutely ludicrous & completely unfeasible. What makes this proposal worse is that there is no public transport which has been proposed as an alternative to the project. 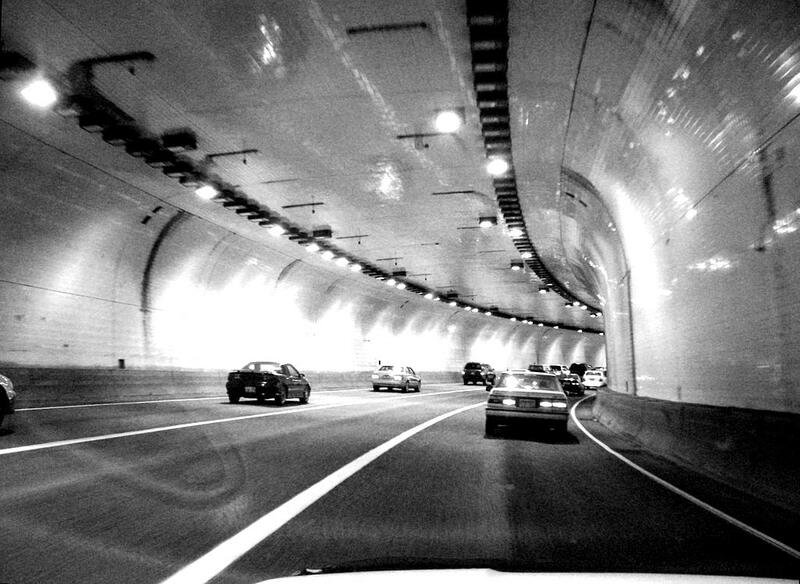 Underground motorway tunnels were always going to be expensive, especially when going underneath a major global city & its waterways but for this kind of money, we could build a new city along the coastline in order to decentralise our over-congested city. Imagine building a new city between Newcastle & Forster which is technologically advanced, has affordable housing, planned transport connections & uses sustainable development. We need to give ourselves proper options & seriously consider something more than just increasing the urban footprint of our biggest cities (Springfield in Brisbane is a perfect example). At the bare minimum, the NSW government should propose some sort of public transport alternatives such as a northern beaches rail link or an expanded version of the B-Line BRT (Bus Rapid Transit) which is proposed for the Northern Beaches. It is very scary to think that this project which is less of a priority than Westconnex, Northconnex or the Southconnex F6 Extension, can possibly be considered at its current price tag of $14 Billion, before overruns. The original Westconnex proposal in 2012 came in at $10 Billion but it has since jumped up to $16.8 Billion and if all the roads around Westconnex are to be upgraded then the grand total comes closer to $45 Billion which is simply an astronomical price to pay. The Sydney Metro Stage 1 came in at a total cost of $8.3 Billion & the Sydney Metro Stage 2 is likely to come in around $10 Billion however if another $25+ Billion was spent on the Sydney Metro system ($45B – $18.3B), then Sydney could have a world class metro system to complement its aging Cityrail & new light rail network, plus there would be no need for expensive underground tunnels such as the Beaches Link or the F6 as rail would replace these corridors. 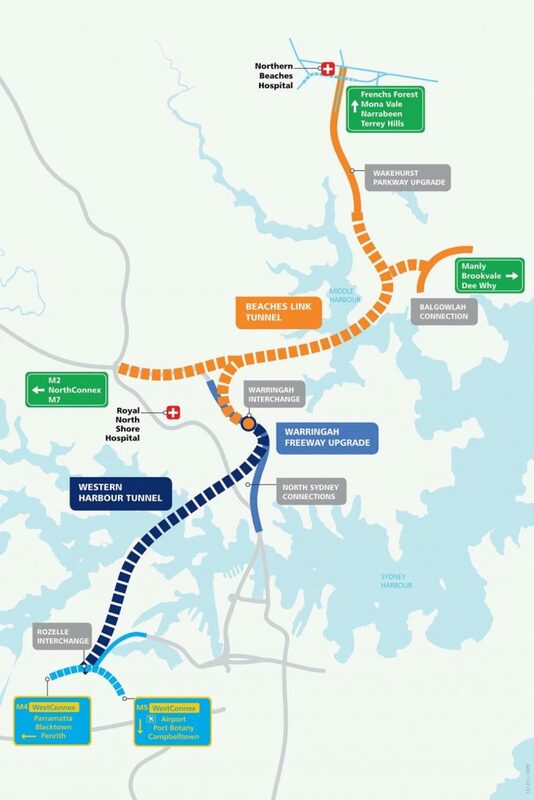 The Beaches Link tunnel route is specifically the line coloured in orange, the purple route is the proposed Western Harbour Tunnel which again could go into the $10’s of Billions as it would involve digging under the Sydney harbour. If we are going to be investing this much money as a city, I believe experts from all area’s of Urban development as well as the community must have a greater say in what we get for our city in order to ensure the best outcome for all residents is archived. Are having smokestacks for fumes being released into the Northern Beaches really the best idea? Even tho they may be filtered, is rail a better option for people who are simply looking to get into the city? The real question is even if all of these motorway projects are completed, when will we come to the conclusion that to be a proper world city we must have a functional metro system which easily carries people from one side of the city to the other. Finishing the motorway system is great but it should have really been done 20-30 years ago before Sydney’s population increased by 1,500,000 people. If we are to keep adding over 80,000 people to Sydney’s population every year & inevitably get denser as a result, then the only answer can be rail & efficient medium/high-density livable communities.